Beautiful little presents for birthdays, new baby, christenings, Mother’s day, sick friends or relatives or for no other reason than “just because”… And they are also easy and cheap to send to friends and family abroad. All items delivered in a white organza gift bag. Angel pendant with semi-precious stone, aventurine. 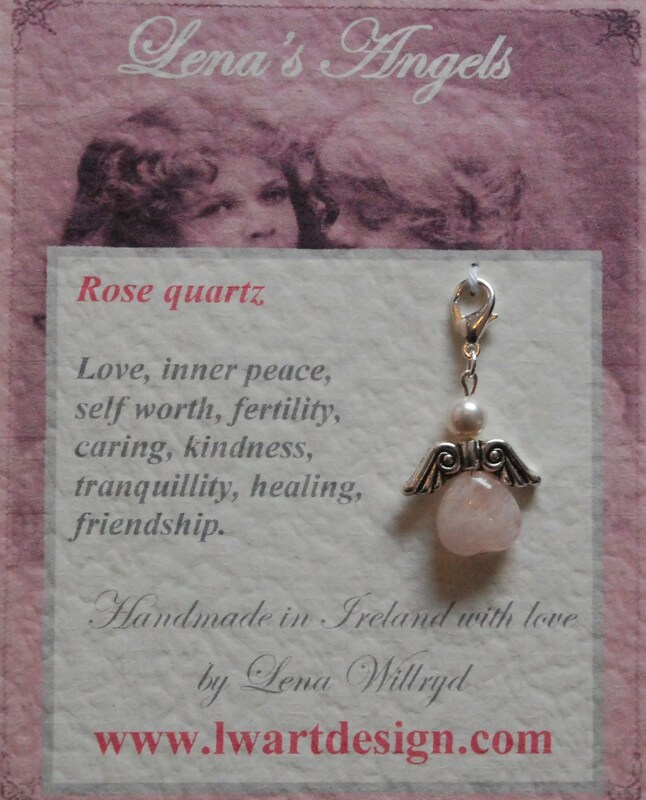 Angel pendant with semi-precious stone, rose-quartz. 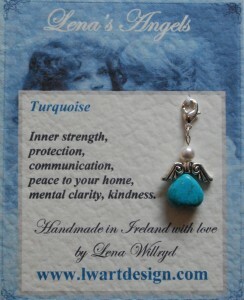 Angel pendant with semi-precious stone, turquoise. 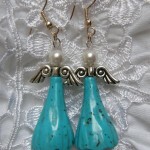 A beautiful pair of angel earrings for any occasion. Comes in various colours and shapes. Please enquire as availability may vary. Delivered in a white organza gift bag. 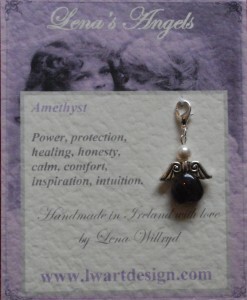 €10 per pair, with sterling silver loops. 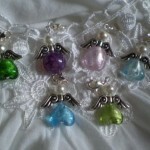 Beautiful pendants for bracelets, necklaces, chains, zipper holders, baby cots etc. The clasp makes it easy to take on/off and move without having to take off your chain or bracelet. 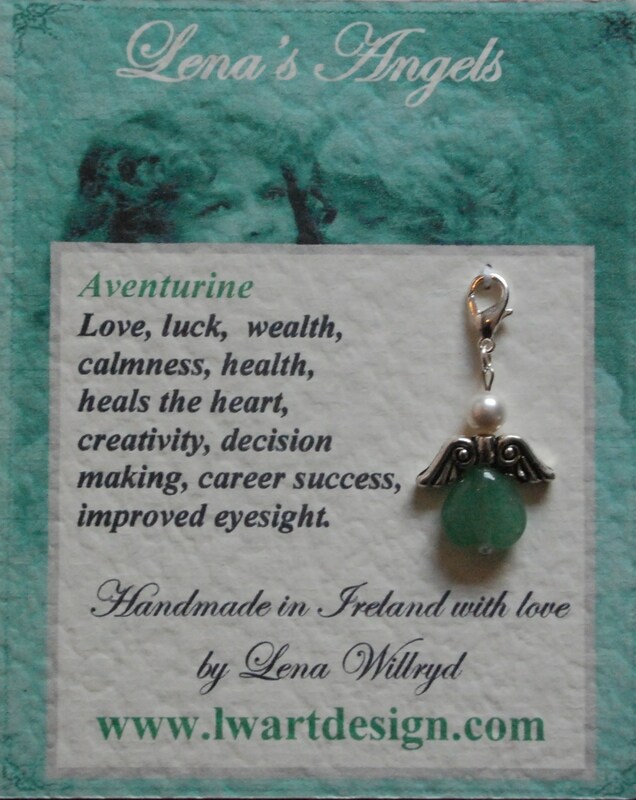 Comes in various colours and shapes. Please enquire as availability may vary. Each pendant is delivered in a white organza gift bag.